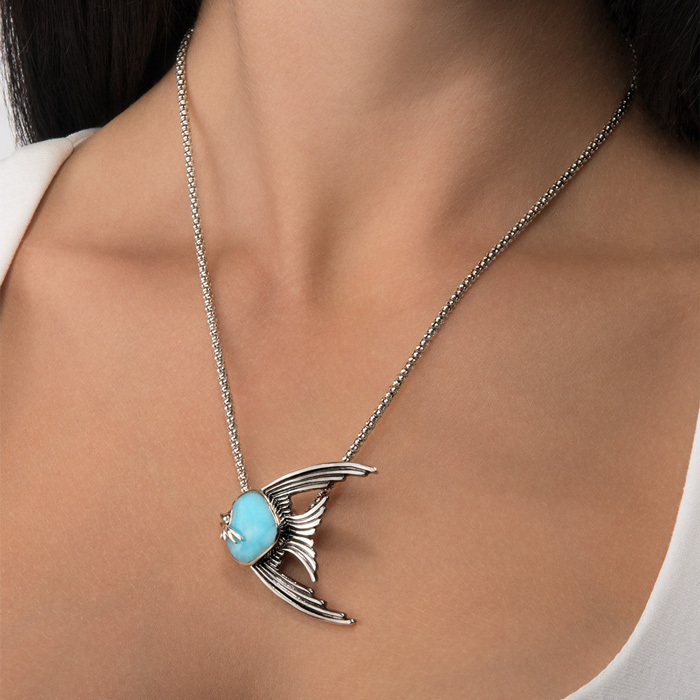 The beauty and grace of our sea-bound friends are simply transfixing in our Long Fin Angelfish necklace. 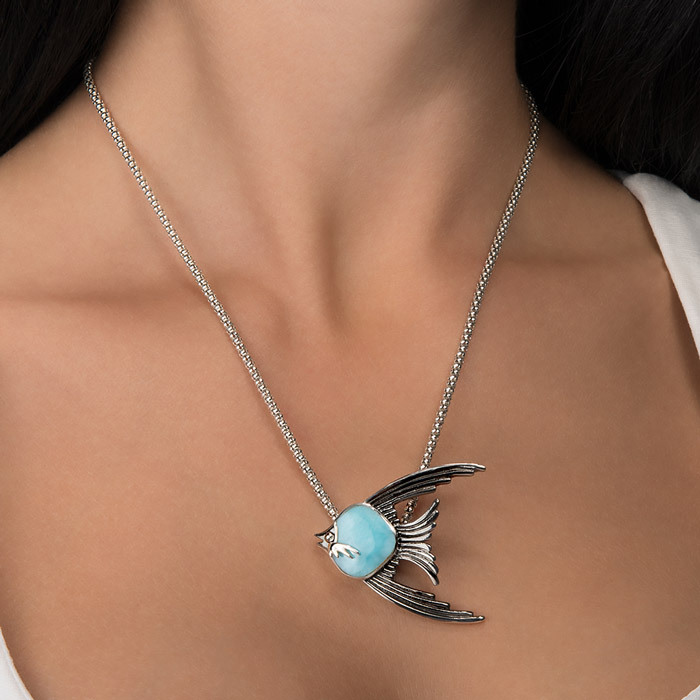 Such a unique design made from brilliant larimar gemstone and sterling silver. Go with the flow! Product Details: Overall size is 36x40mm, larimar gemstone, sterling silver with an oxidized finish. Includes a sterling silver chain with a sliding mechanism that adjusts upto 21" and lobster clasp that you can set to the perfect length for your look!